This 2014 Ram 1500 Sport FULLY LOADED is proudly offered by Arnold Auto Center LLC Drive home in your new pre-owned vehicle with the knowledge you're fully backed by the CARFAX Buyback Guarantee. Take home this Ram 1500 Sport FULLY LOADED, and you will have the power of 4WD. It's a great feature when you need to drive over tricky terrain or through inclement weather. It's not often you find just the vehicle you are looking for AND with low mileage. This is your chance to take home a gently used and barely driven Ram 1500. Enjoy the comfort of knowing this Ram 1500 comes equipped with a manufacturer's warranty. Class defining, one-of-a-kind options are the standard with this Ram 1500 plus much, much more. Intricately stitched leather and ergonomic design seats are among the details in which test drivers say that Ram 1500 is in a league of its own If, upon choosing the road less traveled you find yourself lost, relax and remember this beautiful car has navigation. 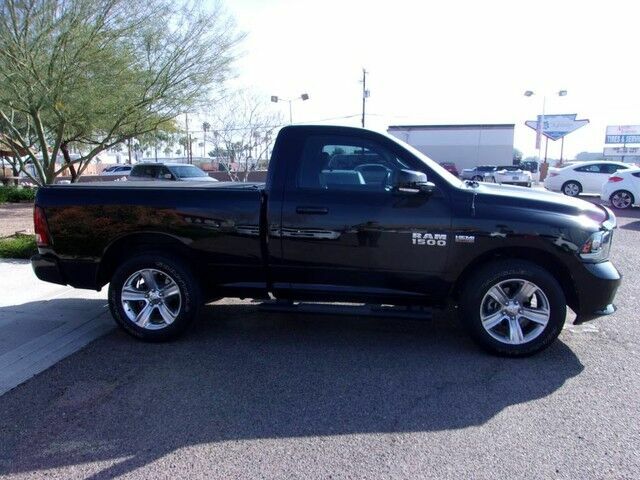 Sophistication, performance, style and class all wrapped up in this rare Ram 1500.